Make this luxurious raspberry sorbet only when you can find very ripe raspberries. 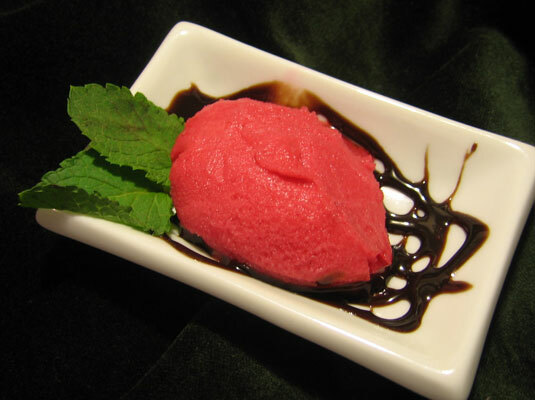 If you use unripe raspberries in your sorbet, it could be bitter. Also, you need an ice cream machine to make this particular dessert. You can discard the lemon itself — you want only the juice. Place the raspberries, sugar, water, and lemon juice in a blender. Strain into an ice cream machine. Churn for about 20 minutes. The sorbet should be thoroughly frozen but easily scoopable. Pack the sorbet tightly into an airtight container and freeze for 1 hour.